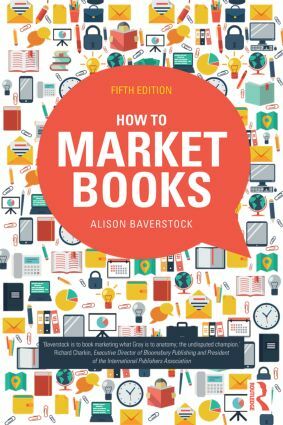 Over four editions, Alison Baverstock’s How to Market Books has established itself as the industry standard text on marketing for the publishing industry, and the go-to reference guide for professionals and students alike. With the publishing world changing like never before, and the marketing and selling of content venturing into uncharted technological territory, this much needed new edition seeks to highlight the role of the marketer in this rapidly changing landscape. a foreword by Michael J Baker, Professor Emeritus of Marketing, Strathclyde University. Alison Baverstock is Associate Professor in the Department of Journalism and Publishing at Kingston University, where she cofounded the MA Publishing in 2006, now with an international catchment area and reputation. She is a frequent commentator in the press and broadcast media on publishing and reading, a previous recipient of the Pandora Prize for Services to Publishing and a member of the Board of Management of the Society of Authors.